Since 1973, Charles River Rugby Football Club has been dedicated to playing and advancing rugby in New England. Fielding a competitive men’s and women’s side, there is a place for everyone on “The Rats”. 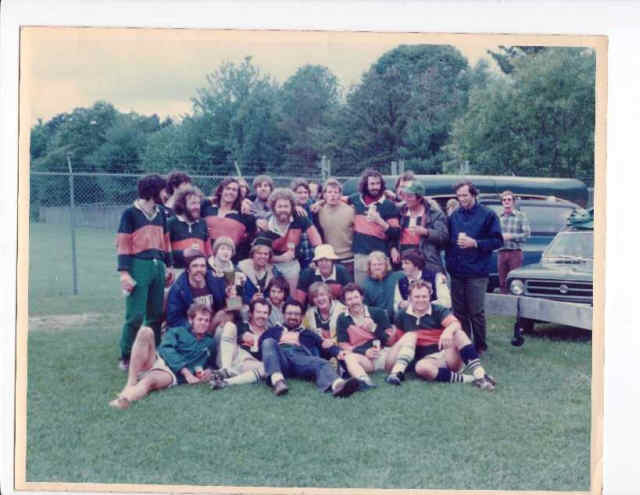 In 1973, the Charles River Rugby Football Club, affectionately dubbed “The Rats”, was founded by a group of ruggers from Tufts University and Boston Rugby Football Club. In striking green and orange jerseys that quickly became the club’s trademark, the Rats achieved many early successes, including winning the Portland RFC Invitational and advancing to the Annual New England Tournament semi-finals. The Rats continued to attract new players and build on each year’s accomplishments over the next decade, thus solidifying themselves as a fixture in the New England rugby community. In 1980 the Rats earned promotion to New England Division I thanks to a staggering defeat of the renowned Berlin Strollers. The early eighties were busy for the club, as the men concentrated on augmenting club membership via a merger with the Old North Bridge RFC of Concord, MA. Highlights of the eighties include continual success both in New England and in international tournament play. In the fall of 1986, the club defeated Boston 12-9, eliminating them from the playoffs for the first time in 5 years. The Club settled into a restructured Division II in 1992 and proceeded to hold the top seed in that division from 1993 to 1994. 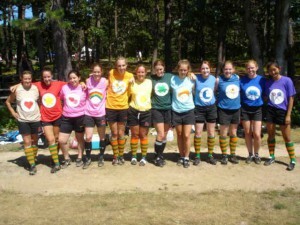 The club proved its resiliency over the following years, and persevered over injury and player shortages to defeat local rival Old Gold and clinch a spot in the 1996 New England Tournament. Undermanned but not lacking heart, the team played tough against the top-seeded New Haven RFC, a game that set the stage for exemplary performance throughout the 1999-2000 Season. Strong leadership and commitment to recruiting resulted in club expansion in the fall of 2001. The Rats boasted a roster of 40 active members and ultimately finished the fall season with the highest ranking in three years. The vast network of past and present players became evident in the Spring of 2002, when Charles River’s annual Old Boys Game in May drew nearly 100 current and former Rats. The club continued to rise both in numbers and experience through 2005, with a revitalized team attacking their opponents. The team jumped out to a 5-0 record before losing the last two matches to finish the season 5-2. Charles River finished the season in second place in Division II NERFU, and advanced to the Division II territorial playoffs for the first time since its inception. 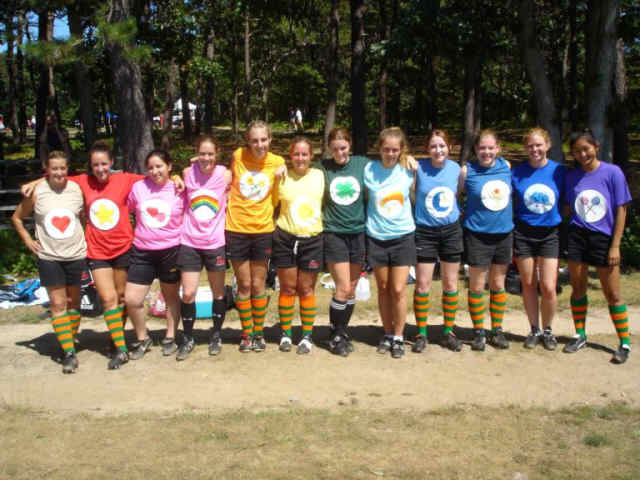 2005 also marked the first season of Charles River’s women’s side. The women had a successful first season, fielding a competitive side in all of their matches. The Lady Rats currently compete in the NERFU DII Division. The club has a rich heritage. With the guidance of past players, the vision of a young and innovative executive board, and the support of our sponsors, we hope to build on a strong foundation to see the club continue to thrive through the years. Charles River Rugby Club is committed to fostering equitable and inclusive participation for anyone who wishes to be part of our rugby family. Our goal is to create an environment that respects and protects the rights of people from all races, ethnicities, religious backgrounds, levels of ability, sexual orientations, and gender identities. While we as a Club, hold ourselves to a higher standard of inclusion, we are bound by certain rules through the USA Rugby and World Rugby organizations. That said, Charles River Men’s and Women’s Teams are committed to the principle that rugby is truly a sport that can be played by ALL and that transgender, intersex, gender non-conforming and nonbinary individuals are welcome members of our community.